Are you collecting crafts for the kids to make this summer yet? 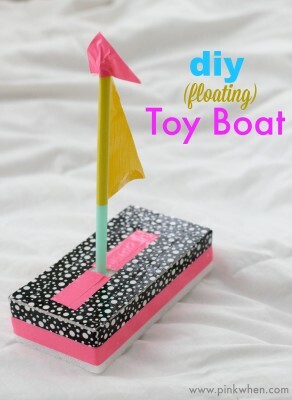 Be sure to bookmark this DIY floating toy boat from Pink When. My little boy will love making this one to break up that summer boredom. Speaking of summer, don’t you love a good picnic? 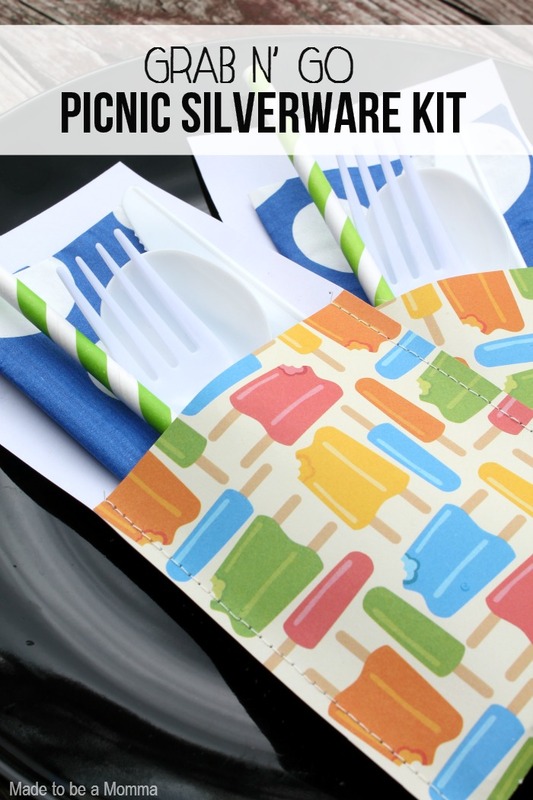 Make your picnic silverware easy to find and ready to go with this silverware kit from Made to be a Momma. So simple and it will make those fun summer picnics even easier. 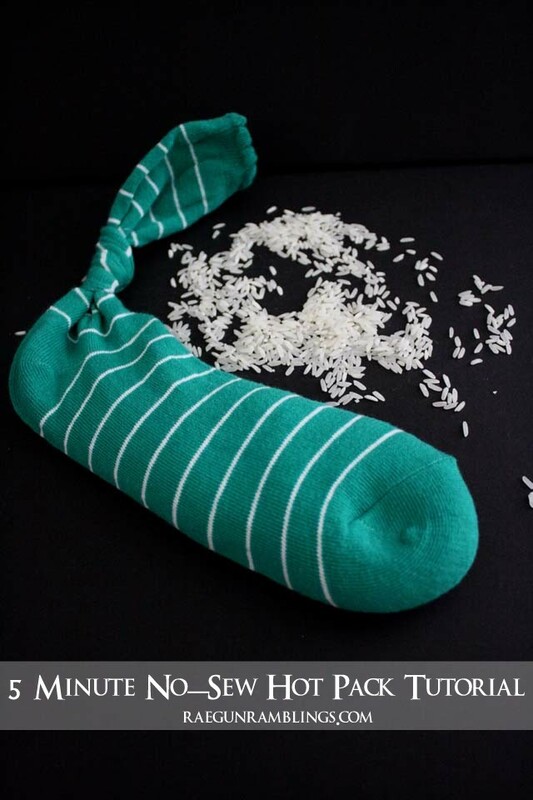 Ever wanted to make one of those rice hot packs but hate sewing? Raegun Ramblings has the solution for you. Get the tutorial for her 5 minute no sew hot packs here. 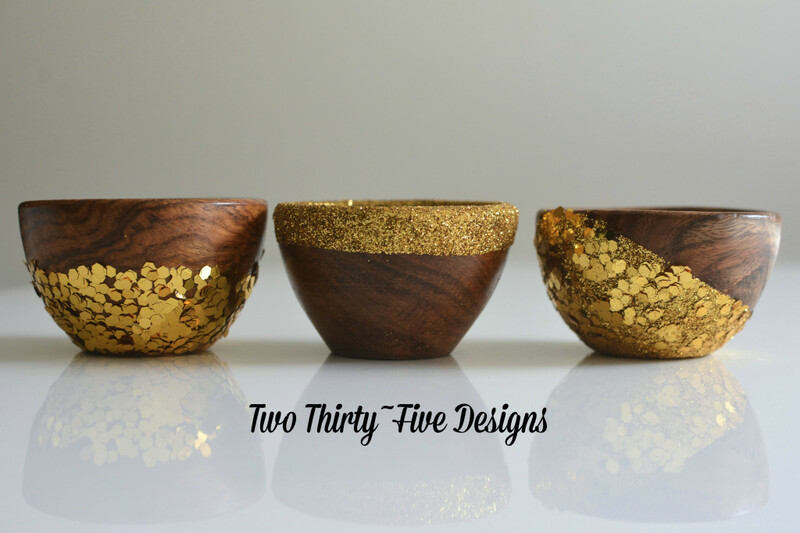 How about a little home decor in under 15 minutes? 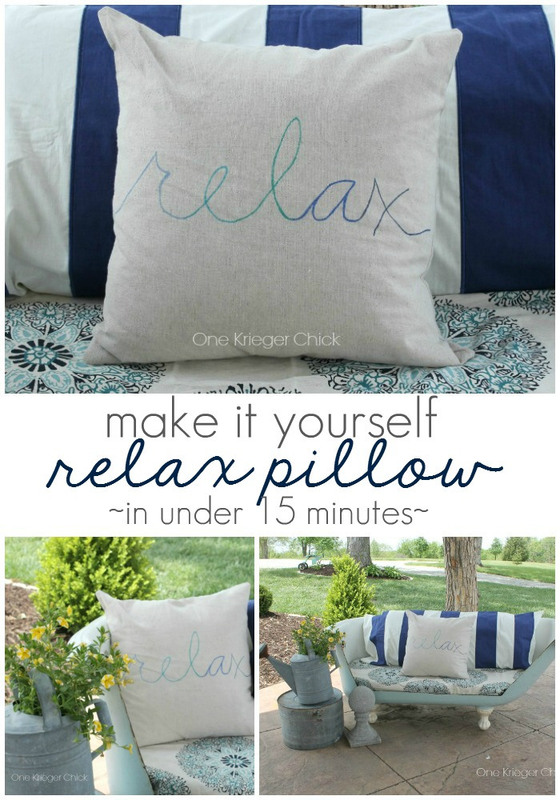 I love the message on this 15 minute Relax pillow from One Krieger Chick. What word will you use on your version? Have fabric scraps? 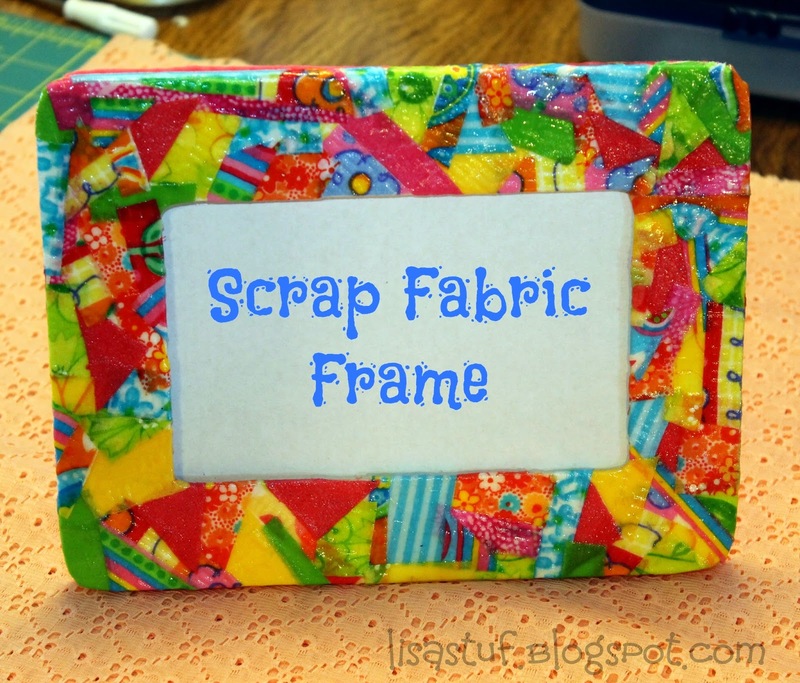 Use them up and make this scrap fabric frame from Lisa Stuff n Such. You really need to read the post and see the picture of where these fabric scraps came from as well. Carnival tickets are the ultimate in typography art. 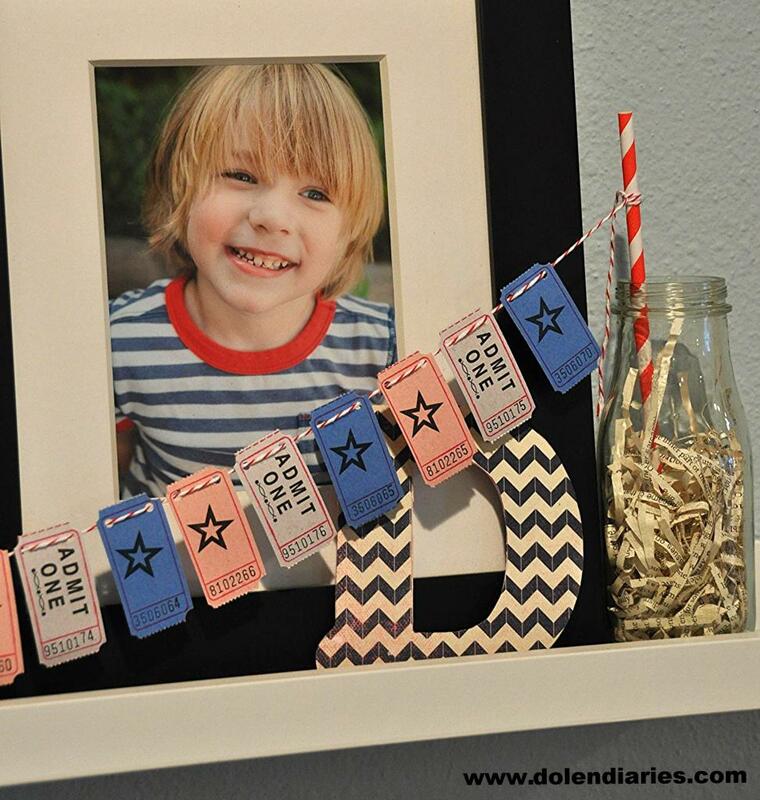 Make a super simple carnival ticket garland to add to your home like this one from Dolen Diaries. 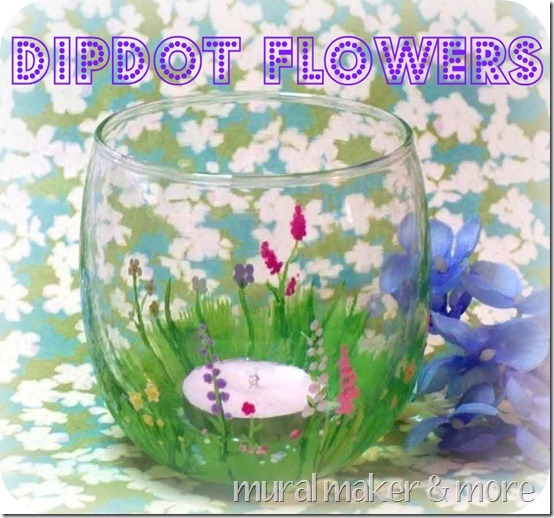 Our linky party feature for today is Just Paint It and this tutorial for painting dip dot flowers. Think you can’t paint? Let Colleen show you that in fact you can! 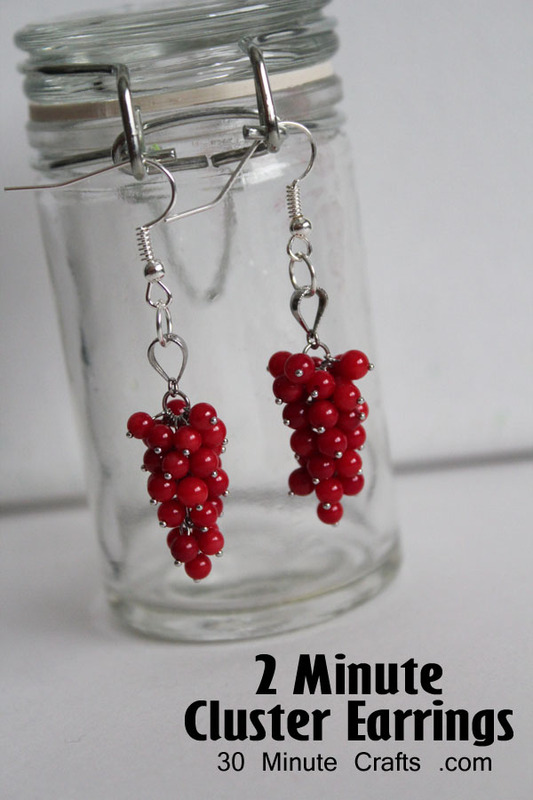 My partner for this series, 30 Minute Crafts, is sharing some cute 2 minute DIY earrings today. A craft in 2 minutes? You betcha! Let Carolina show you how! 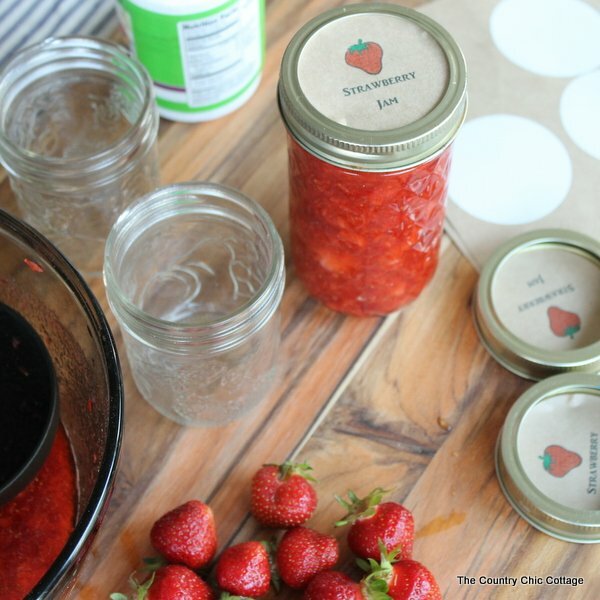 In case you missed it, I shared my strawberry freezer jam secrets plus some great printable labels for the tops of your jars. If you are canning anything this summer, be sure to check out this post as you can download the template yourself and make great custom labels. Stay tuned for even more fun this week as we continue with more quick crafts and Craft Lightning. Love all of these quick craft projects!